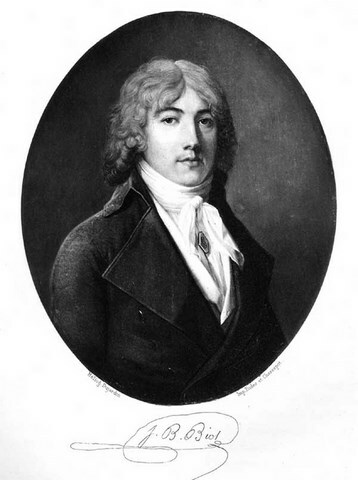 Biot drew a detailed map of the dispersal of the meteorites, and his subsequent impassioned paper describing how these stones must undoubtedly be of extraterrestrial origin effectively gave birth to the science of meteoritics. The L’Aigle event was a real milestone in the understanding of meteorites and their origins because at that time the mere existence of meteorites was hotly debated. The existence of stones falling from the sky had long been recognized, but their origin was controversial, with most commentators agreeing with Aristotle that they were terrestrial in origin. Eye-witness accounts were treated with great skepticism. They were generally dismissed as lies or delusions. The meteorites that fell on L’Aigle were collected and sold or sent to numerous museums in Europe where they may still be seen. Most meteorite falls, such as at L’Aigle, are recovered on the basis of eyewitness accounts of the fireball or the impact of the objects on the ground, or both. Therefore, despite the fact that meteorites fall with virtually equal probability everywhere on Earth, verified meteorite falls tend to be concentrated in areas with high human population densities such as Europe, Japan, and northern India. As of April 2016, the Meteoritical Bulletin Database has listed 1,145 confirmed falls. Meteorite falls may have occasionally led to cult worship historically. The cult in the Temple of Artemis at Ephesus, one of the Seven Wonders of the Ancient World, possibly originated with the observation of a meteorite that was taken by contemporaries to have fallen to the earth from the home of the gods. 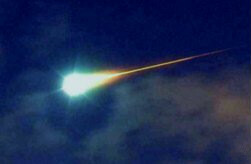 There are reports that a sacred stone was enshrined at the temple that may have been a meteorite. 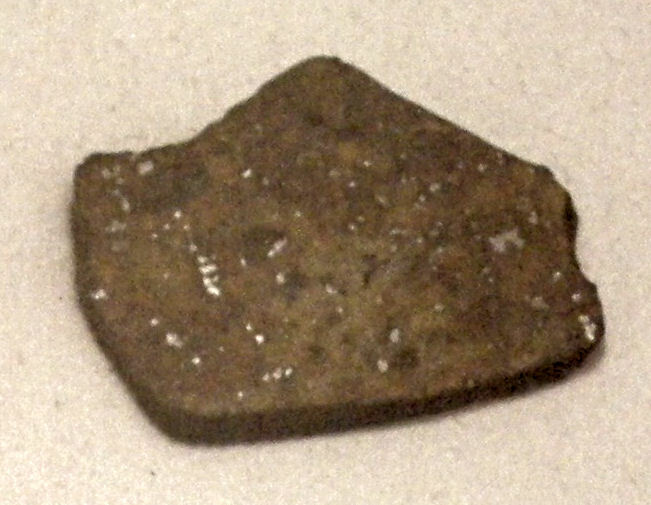 In the 1970s, a stone meteorite was uncovered during an archaeological dig at Danebury Iron Age hillfort, Danebury England. It was found deposited part way down in an Iron Age pit (c. 1200 BCE). Since it must have been deliberately placed there, this could indicate one of the first known human finds of a meteorite in Europe. Some Native Americans treated meteorites as ceremonial objects. In 1915, a 135-pound iron meteorite was found in a Sinagua (c. 1100–1200 AD) burial cyst near Camp Verde, Arizona, respectfully wrapped in a feather cloth. A small meteorite was found in a pottery jar in an old burial found at Pojoaque Pueblo, New Mexico. Archeologists report several other such instances, in the Southwest US and elsewhere, such as the discovery of Native American beads of meteoric iron found in Hopewell burial mounds, and the discovery of the Winona meteorite in a Native American stone-walled crypt. The oldest known iron artifacts are nine small beads hammered from meteoritic iron. They were found in northern Egypt and have been securely dated to 3200 BCE. Publishing is analogous to meteorite strikes. I know editors have seen my articles that they printed, but I have absolutely no idea how many have read them or what impact, if any, they have made. Ditto for my books. I know how many have sold, but no idea how many were read. This fact would be depressing if I cared. I am not trying to make money from my writing, or become famous. I write because it pleases me. If it pleases others, I am glad; if not, not. L’Aigle is in Orne, a landlocked department in Normandy that is also the site of Camembert, the village that gives its name to the famous cheese. 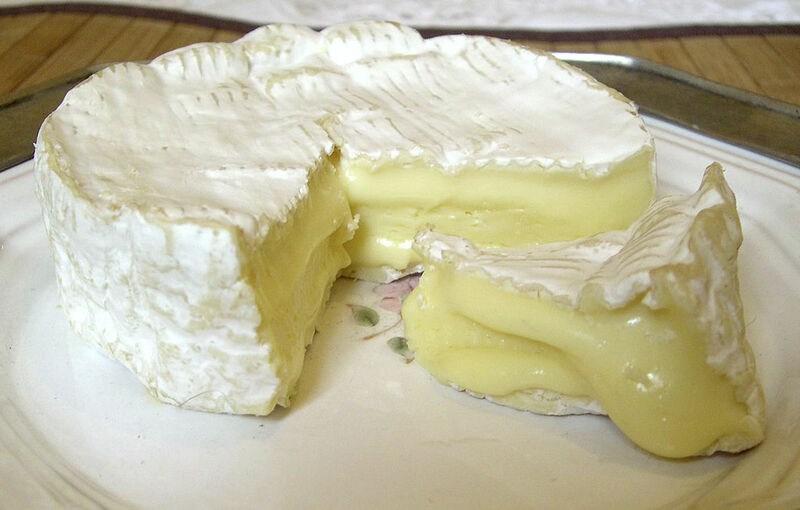 Coincidentally, camembert was first made around the time of the L’Aigle meteorite fall. Camembert was reputedly first made in 1791 by Marie Harel, a farmer from Normandy, following advice from a priest who came from Brie. However, the origin of the cheese known today as camembert is more likely to rest with the beginnings of the industrialization of the cheesemaking process at the end of the 19th century. In 1890, an engineer, M. Ridel, devised the wooden box which was used to carry the cheese and helped to send it for longer distances, in particular to North America, where it became very popular. These boxes are still used today. Before fungi were scientifically understood, the color of camembert rind was a matter of chance, most commonly blue-grey, with brown spots. From the early 20th century onwards, the rind has been more commonly pure white, but it was not until the mid-1970s that pure white became standard. My discovery of camembert occurred in 1966 when I was an exchange student in France. Before that time my culinary tastes were extremely limited. Cheese, as far as I was concerned, was generic Cheddar. But when I lived in France it was my duty, along with Jean-Loup my exchange mate, to get the baguettes for the evening meal on our way home from school. We frequently bought some camembert as well, sliced it, and stuffed it into a baguette is a quick snack on the way home. That, and Jean-Loup’s mother’s cooking, changed my outlook on food for life. So, why not do the same in tribute to the L’Aigle meteorite fall? I just did.